Irish Prime Minister has aligned himself with other European leaders in his position on reopening of Brexit deal negotiations as a result of the latest sentiment in Westminster. Leo Varadkar told the Irish parliament on 30 January that he doesn't see any "alternatives" to the Irish backstop arrangement spelled out in the Brexit deal document, proposed by UK PM Theresa May but rejected by British lawmakers. 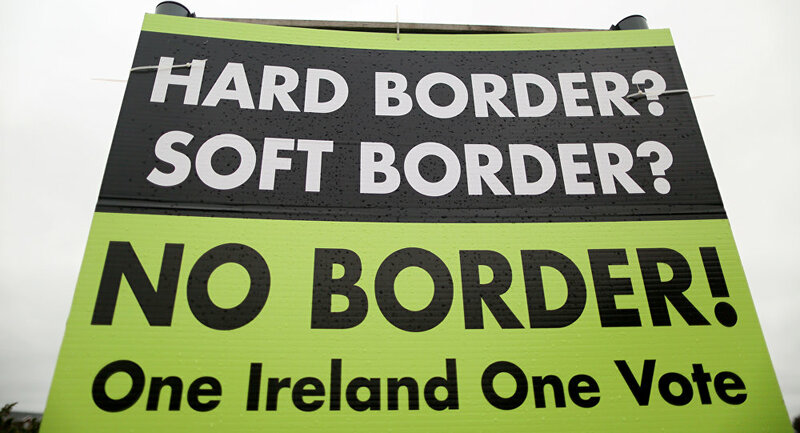 The inability of Britain to unilaterally take the country out of the arrangement meant to keep the Irish border open after 29 March 2019, has emerged as major concern among British MPs, leading to continuing search for an acceptable solution. "I do not know what those alternative arrangements are," Leo Varadkar said on Wednesday, ahead of a planned phone conversation with Theresa May later in the day. "We've been down that track before and I don't believe that such alternative arrangements exist. And that is why we have the agreement that we have now. The only way I believe we can avoid a border, physical infrastructure… is through full regulatory alignment," he added. His comments reflect the view widespread among European leaders, including the President of the European Commission Jean Claude Juncker, the EU chief Brexit negotiator Michel Barnier and other key figures on the Brussels' side of the Channel. During a European Parliament session on Wednesday, Mr. Juncker stressed that the Irish backstop was a necessary safety net, the EU is not willing to give up. "As (EU Council) president (Donald) Tusk said yesterday, we are not offering a renegotiation and renegotiation is not on the table. There is no grounds to organise an emergency summit," Varadkar told Irish lawmakers. A number of European officials have joined Varadkar in rejecting the idea of Brexit deal renegotiation, including Sweden's EU minister Hans Dahlgren and German government spokesman Steffen Seibert, as well as German FM Heiko Maas. Dahlgren reaffirmed EU's determination to stick to the agreed deal, while Seibert welcomed London's preference "not to leave the EU without a withdrawal agreement" but said changes to the deal are "not on the agenda." UK Labour Party leader Jeremy Corbyn, who previously boycotted talks with Theresa May, has on Wednesday joined the PM to discuss the future prospects of the deal, given complete uncertainty surrounding the issue, only two months away from the exit deadline.